Each year, 45% of Americans set New Year's resolutions, a great percentage of which are related to weight loss. Some people have already found the hidden secret of rowing, one of MBAC's lesser known sports, as a way to fulfill their New Year's resolution and shed the pounds. Ranked #7 on About.com's Top Ten Cardio Exercises list, rowing is a physically demanding exercise involving both the upper and lower body, which means a higher heart rate and a greater calorie burn. It is easier on the knees than running, and offers a great way to exercise outdoors. Of course, like swimming, you have to learn the motions before jumping in the pool and getting a great workout, but the rowing instructors at MBAC will take you through a progression from learning the body motion on land on rowing machines, to pulling together as part of a team with eight other rowers. 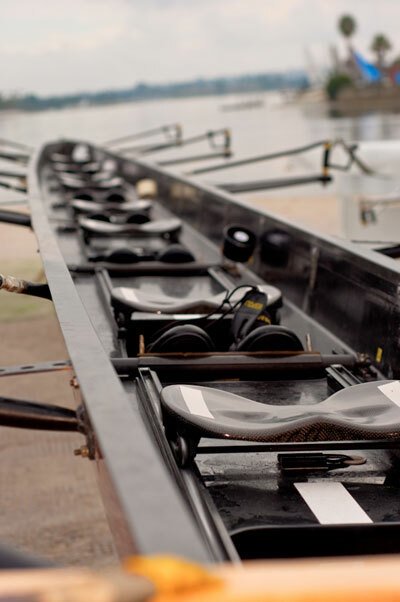 MBAC Programs Manager, and former collegiate rowing coach, Kevin Waldick explains that rowing is enjoyed by all levels of athletes regardless of age and background, and can be enjoyed as a life-long activity. "I have seen rowers as old as 90 out on the water," explains Waldick, referring to legendary San Diego Rowing Club rower Kearney Johnston, who rowed and even competed into his nineties. "Most athletes competing in rowing didn't even pick up an oar for the first time until college or later so it's never too late to start." 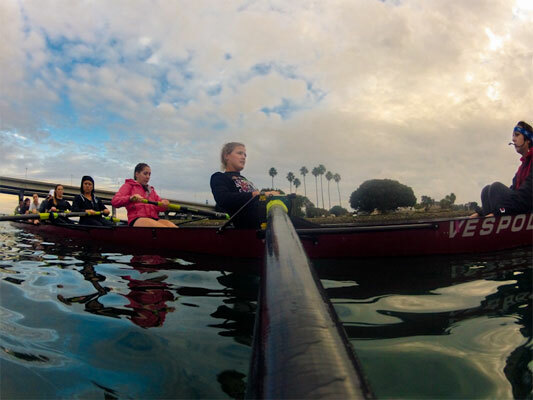 After taking the Sweep Rowing Classes (rowing with one oar per rower) many students continue on to join rowing clubs like the Mission Bay Rowing Association, a club that focuses on recreational rowing, or the more competitive San Diego Rowing Club or ZLAC Women's Rowing Club. Both offer programs for beginners. Other students choose to learn sculling (rowing with two oars per rower) in the sculling class series, which has the distinct advantage of allowing you to row alone in a single scull. As Waldick points out, you can only do circles when rowing alone with one oar. 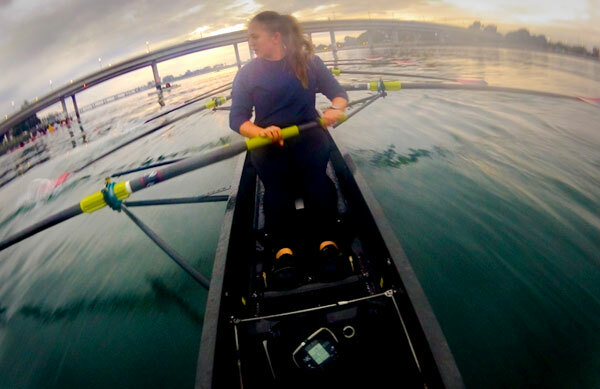 Sculling students often choose to continue rowing singles in the rental program at MBAC. 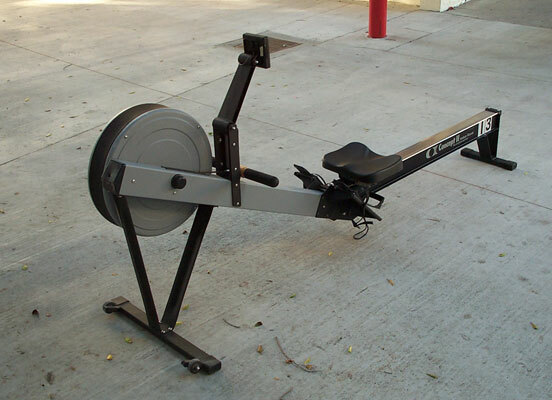 Even if graduates of the rowing program choose not to continue training on the water, the skills learned in the class can be used on rowing machines like the Concept II,which can be found in most gyms and health clubs. Rowing properly on those machines can burn 300 calories in just 30 minutes. Any of the paths you choose will help you to be successful in your resolution, and open your world to a new, healthy sport.